1. Who were the two writers of the screenplay for the 1968 film “2001: A Space Odyssey”? Answer: Stanley Kubrick & Arthur C. Clarke. 2. In the Disney movie “Beauty and the Beast,” what is the name of Gaston’s bumbling sidekick? 3. Who played the female lead in the 1990 romantic comedy Pretty Woman? 4. What are the four houses at Hogwarts School of Witchcraft and Wizardry? Answer: Gryffindor, Ravenclaw, Hufflepuff, & Slytherin. 5. Actress Gal Gadot starred in what American superhero film released in the summer of 2017? 6. In the 2016 American fantasy adventure film, “The Jungle Book”, what is the name of the orphaned human boy? 7. Who played the female lead in the dystopian political thriller “V for Vendetta”? 8. What are the names of the three fairies in the Disney classic “Sleeping Beauty”? Answer: Flora, Fauna and Merryweather. 9. Which actress played identical twins in the 1998 movie remake of The Parent Trap? 10. Who played James Bond in the 1969 film “On Her Majesty’s Secret Service”? 11. Tyler Durden is a ficitional character appearing as the central protagonist and antagonist in what 1999 American film? 12. Who played the female lead role in the 1986 sci-fi movie “Aliens”? 13. What is the name of the 1978 movie, starring Brad Davis, about an American college student who is sent to a Turkish prison for attempting to smuggle hashish out of Turkey? 14. What are the names of the two actors whose characters get stuck traveling together in the movie “Trains Planes & Automobiles”? Answer: Steve Martin & John Candy. 15. What is the name of the animated science fiction comedy-drama film released in 2002 about a Hawaiin girl and her unusual pet? 16. The famous Actreess Winona Ryder had what last name at birth? 17. What was the name of The Lone Ranger’s horse that he saved from an enraged buffalo? 18. BB-8 is an astromech droid from what film franchise? 19. In the Star Wars universe, who is Luke Skywalker’s mother? 20. Robin Williams won an Academy Award for best supporting actor in which 1997 film about a South Boston janitor? 21. Who is the Canadian singer-songwriter best known for her hit song, “Call Me Maybe”? 22. Who directed the movie “Harry Potter and the Prisoner of Azkaban”? 23. In music, the space between one musical pitch and another with double its frequency is called what? 24. Who played Dracula in the 1931 vampire-horror film “Dracula”? 25. “Stairway to Heaven” a song by English rock band Led Zeppelin was originally released on which of their albums? 26. Which actor that once played James Bond previously competed in the Mr. Universe bodybuilding competition? 27. Award winning Latina pop artist Shakira was born in raised in what Country? 28. 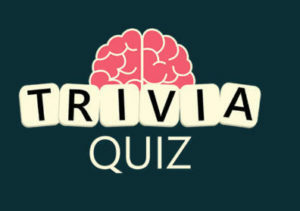 Which actor played the main character in the 1990 film “Edward Scissorhands”? 29. Which of the Beatles is barefoot on the Abby Road album cover? 30. Who directed the movie “Reservoir Dogs”? 31. Released in 1992, what is the best-selling soundtrack album of all time? 32. Who played Batman in the 1989 Tim Burton version of the film? 33. Who was the original singer for the American punk rock band The Misfits? 35. What did the famous Hollywood sign, located in Los Angeles, originally say? 36. In what year was the first Harry Potter movie released? 37. What star of the movie Basketball Diaries did not win his first Oscar until 2016?? 38. In what year was the movie “Grease” released? 39. What are the names of the 7 dwarfs from the Disney movie “Snow White and the Seven Dwarfs”? Answer: Happy, Sleepy, Sneezy, Dopey, Grumpy, Bashful and Doc. 40. What was the name of the 1999 American found footage horror film about three student filmmakers that disappeared in the woods? Answer: The Blair Witch Project. 41. Who directed the 1977 movie Star Wars? 42. Which Olympic sport was featured in the movie “Cool Runnings”? 43. In 1939, the movie The Wizard of Oz lost the Academy Award for best picture to what film? 44. Bruce Willis played a convict turned time traveler in what 1995 movie? 45. What is the job title of the person in charge of the camera and lighting crews working on a film? 46. In what year was the original “Jurassic Park” film released? 47. In the movie “Bambi”, what type of animal is Bambi’s friend Flower? 48. What popular movie musical, directed by John Hutson, was released in 1982? 49. Which action movie star was the voice of the Iron Giant? 50. Which actor was the voice of Darth Vader in the original Star Wars films?